Many entities at formation are unaware of the fact that many states have a minimum tax on the entity regardless of whether there is a profit or a loss. While each state has its own terminology, the common name is a franchise tax. 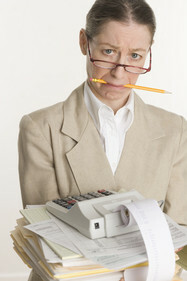 A franchise tax is one that imposes a tax on a domestic corporation or llc for the privilege of existing as a corporation or llc under the state law, and on a foreign corporation or llc for the privilege of having or exercising its charter in the state or doing business, employing or owning capital or property, maintaining an office, deriving receipts, or engaging in contracts in that state. The tax applies to all domestic corporations or llcs and all foreign corporations or llcs having a taxable status unless specifically exempt. Some states will charge as much as $800.00 annually while there are also states which do not charge anything unless a profit is reported. In addition, while some states do not have state income taxes, they charge an annual report fee or require corporations or llcs to file information returns requiring a state fee. In New Jersey for example, the state will collect a tax of $500.00 on a corporation even if the corporation has a loss. In addition, New Jersey has an annual report fee of $50.00 for every llc or corporation. Should you not file this annual report in New Jersey for two years, your entity status will be revoked and it can cost as much as $295.00 along with the annual report fees to reinstate the entity. While some states seem like the place to form your entity as they have no state income tax, you might be paying only in a different manner. In short, do your research or speak with a qualified professional. While states vary, most have a variety of fees associated with corporations and llcs in lieu of or in addition to state income tax. Roger Forte holds an MBA in accounting and has been working with small businesses (and their tax matters) for over 35 years. Mr. Forte is a consultant with Speedy Incorporation and LLC, advising on incorporation and LLC formations. He also serves as the lead blogger on all things relating to accounting for small business on the Speedy Small Business Blog. Ready to make your business "official?" Use our Free Speedy Quote System to find out the exact cost of incorporating your business or forming a Limited Liability Corporation based on your needs and the state you plan to form your business in.